Thrills & Chills Await Along The Death Trail of Dumfries this Halloween Season! 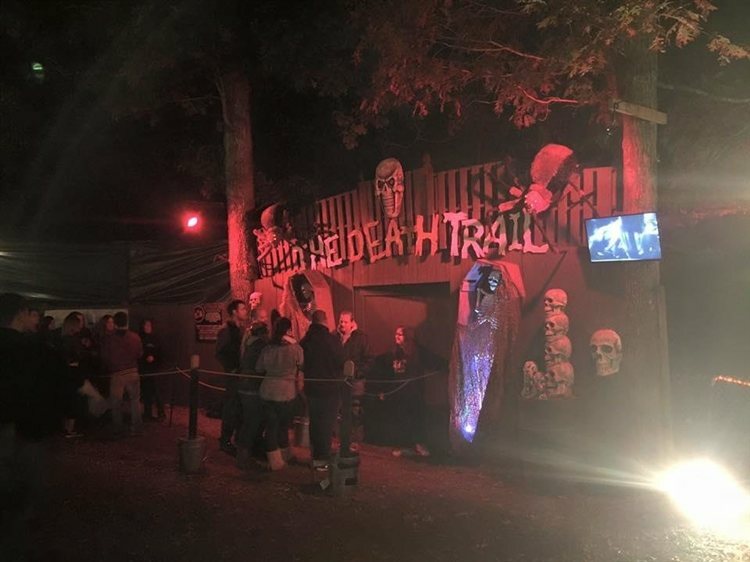 VirginiaHauntedHouses.com recently sat down with Brad Lewis of The Death Trail, to discuss what's new at The Death Trail for the 2018 Halloween Season! Located in Dumfries, this haunted attraction features a terrifying journey through the deep, dark woods. Read below to find out what's happening at the haunt this year! What's new at The Death Trail for 2018? Do you have any new rides, attractions, or special features that Haunt Seekers should know about? The Death Trail has many new surprises for 2018, including a brand new theme, enhanced rooms and attractions, all new escape room and more. This year we focus on all the things that scare you the most! The new characters that we have created on the trail. What differentiates The Death Trail from other local haunts in Virginia? We like to pride ourselves on having the most actors on trail than any other haunt. On any given night there could be 60-90 actors lurking in many different places to offer that perfect scare. We also have a very different event because everything we do is for a greater purpose than a scare. We have scares that truly care. How long has The Death Trail been in business? Can you tell us a bit more about The Death Trail's history? Since 2009. 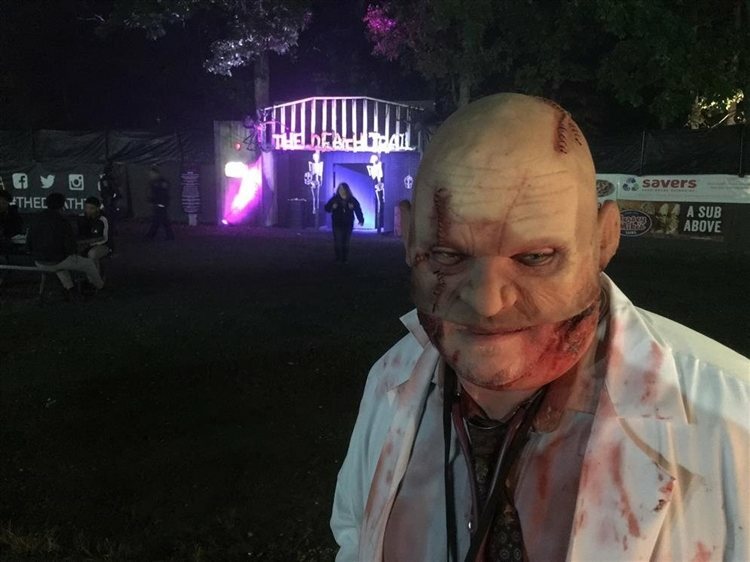 What started as a simple fall event for local families has now grown to see some of the largest crowds of any haunted attraction around. This event also attracts many volunteers that enjoy scaring and the friendships that are created as our team prepares. What's your favorite experience since opening The Death Trail? The meeting of new people and the opportunity to bring meaningful entertainment to our community. How long is a typical haunt experience at The Death Trail from start to finish? From start to finish it is approx 40 minutes. However, the wait to get in might take you 1-2-3 hours. But there's plenty to do while you wait. On a scale from 1 to 10, how scary would you say The Death Trail is? Why? 9-10. Because of the amount of actors and the plain out creepiness of the woods around here. The true story is something I'd like people to ask us in person! It really is a remarkable thing, but much too detail for this post. When you come by... ask us! How has new technology (i.e. animatronics, special props, etc) helped you to enhance The Death Trail? We use a lot of technology, but we pride ourselves on the use of the best tech there is... human beings. Can The Death Trail accommodate large groups? How many people can experience The Death Trail together as a group? Yes. We have accommodated up to 100-150 people in groups. We do have to separate them in smaller pods for the trail. Does The Death Trail offer any special deals, discounts, or coupons? Our RIP pass is the best and we also occasionally have a Groupon out there.